Library Loot is a weekly event co-hosted by Marg @ The Adventures of an Intrepid Reader and Claire @ The Captive Reader that encourages bloggers to share the books they have checked out from the library. Here is what I brought home today. 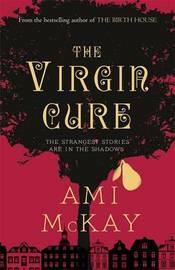 The Virgin Cure by Ami McKay........set in the dark streets of lower Manhattan in 1871, this is the story of a 12-year-old girl sold by her mother as a servant to a wealthy woman. Into the Darkest Corner by Elizabeth Haynes.......What if the man you love isn't who you thought he was? A suspense thriller. 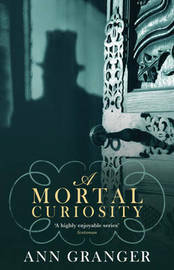 A Mortal Curiosity by Ann Granger.......A Victorian mystery. 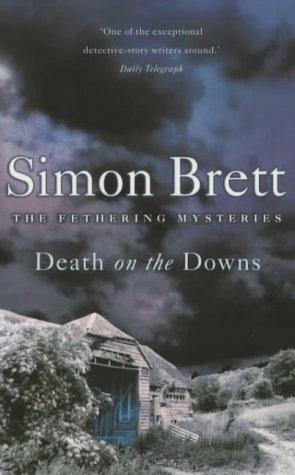 Death on the Downs by Simon Brett......another mystery chosen only because it's title fits a category for the What's in a Name challenge. 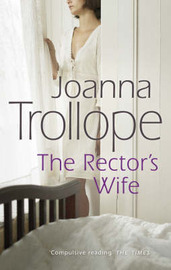 The Rector's Wife by Joanna Trollope.......an earlier title of this author that I haven't read . Oooh, nice range of books! I have The Virgin Cure to review next week -- really looking forward to it. So am I - look forward to your thoughts. I haven't seen that cover for The Virgin Cure before; it's gorgeous! I think The Rector's Wife was the first Joanna Trollope novel I read (only three or four years ago) but it quickly convinced me I needed to catch up on all her other books. Enjoy your loot! It is a lovely cover - certainly caught my eye at the library. I often read positive comments about The Rector's Wife so decided it was to read it for myself. Ooh these look good - especially The Virgin Cure. It seems to be one catching everyone's attention so I hope it lives up to expectations. The Ann Granger book looks good. I see it's #2 in a series so I'm going to have to hunt down #1 and check it out. :) Add me to the list of those anticipating The Virgin Cure. I think it comes out here in the US on the 26th. The Ann Granger has been in the library for several years but it's the first time I've noticed it. Hope The Virgin Cure will live up to our expectations. I have heard of none of these books before... but I'm interested. Library Loot is a great way for books to be brought to your attention and added to the TBR.